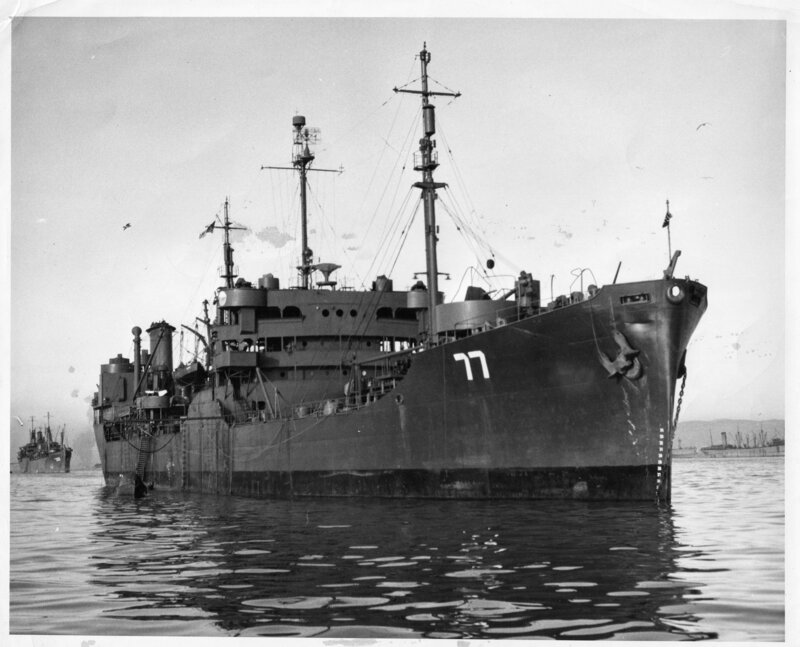 Laid down, 28 February 1943, as ST Fort Necessity, a Maritime Commission type (T2-SE-A1) tanker hull under Maritime Commission contract, (MC hull 307) at Sun Shipbuilding and Dry Dock Co., Chester, PA.
Decommissioned, 7 March 1946, at San Francisco, CA. 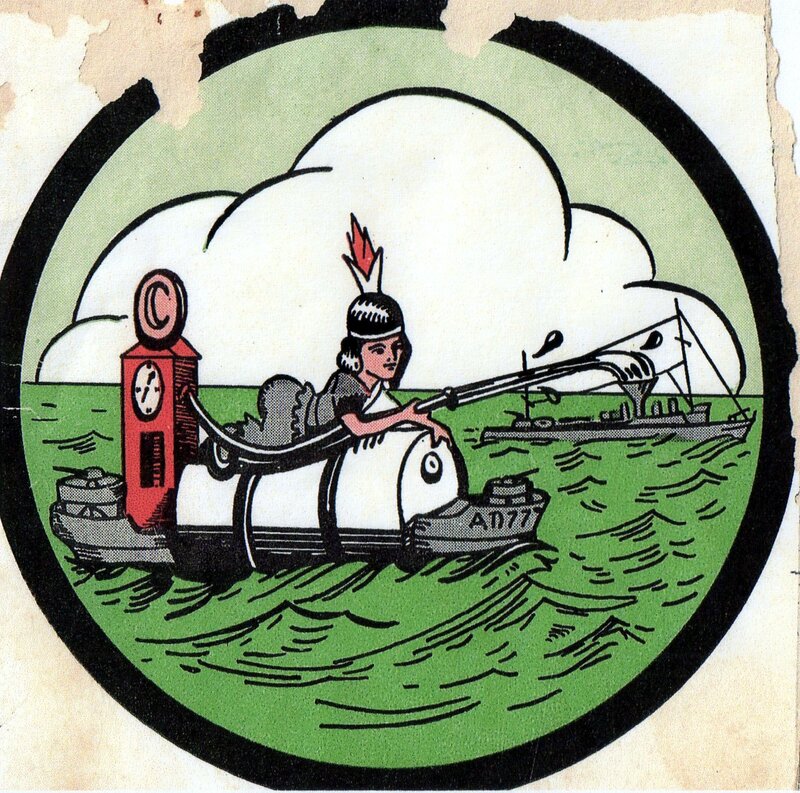 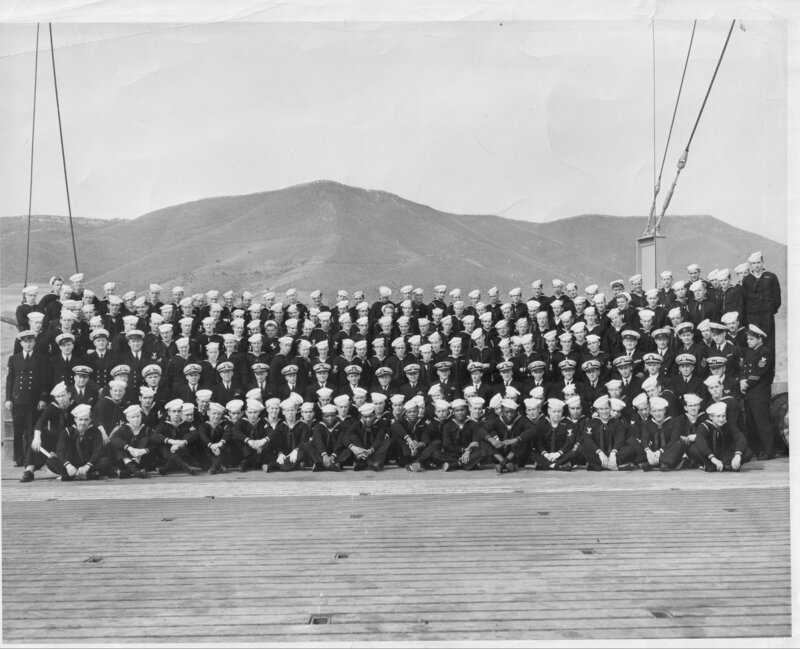 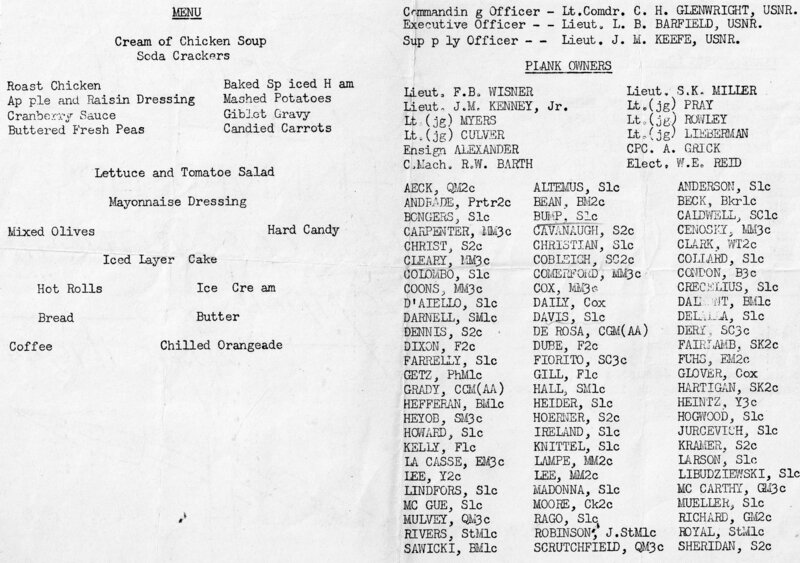 Transferred to the Maritime Commission for lay up, 26 October 1946, in the National Defense Reserve Fleet Suisun Bay, Benecia, CA. 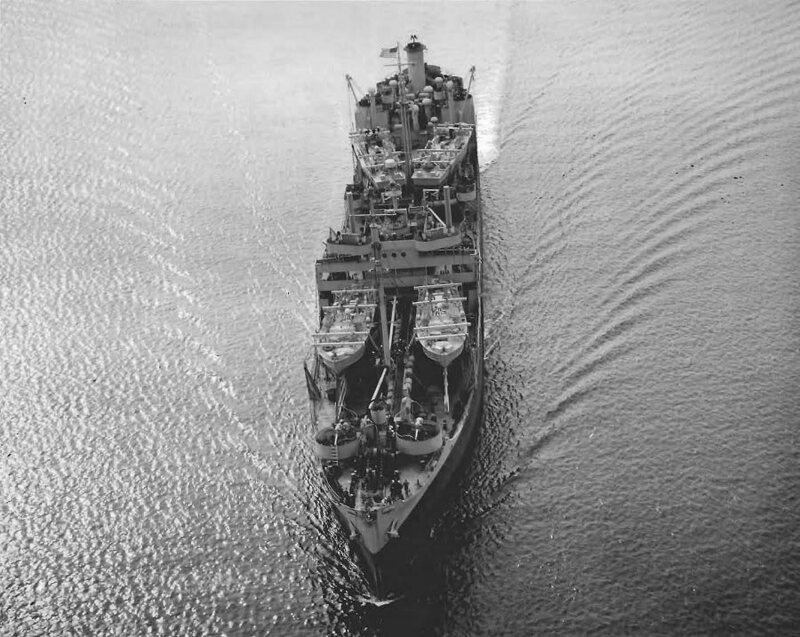 Placed out of service and transferred to the Maritime Administration, 12 September 1974, for lay up in the National Defense Reserve Fleet, James River Group, Lee Hall, VA.
one turbo-drive 28Kw 120V D.C.
two turbo-drive 110Kw 120V D.C.
36k USS Cossatot (AO-77) under way, date and location unknown. 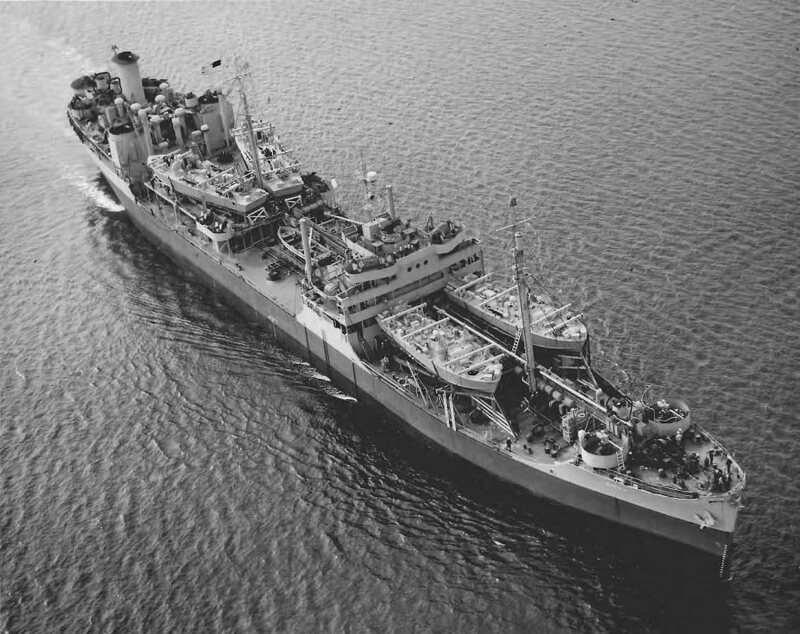 88k USS Cossatot (AO-77) at anchor, date and location unknown. 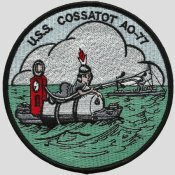 144k USS Cossatot (AO-77) under way, date and location unknown. 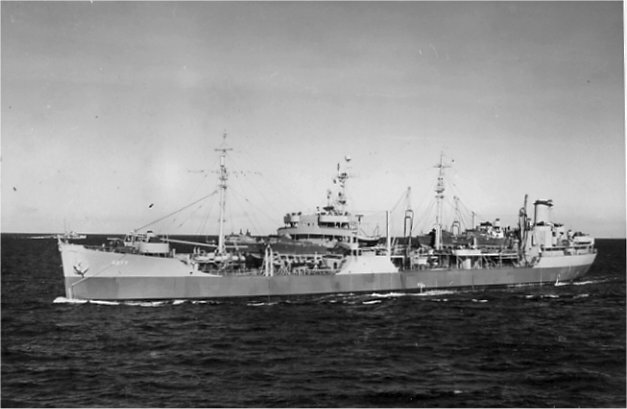 Note the four PT boats being carried on her decks. 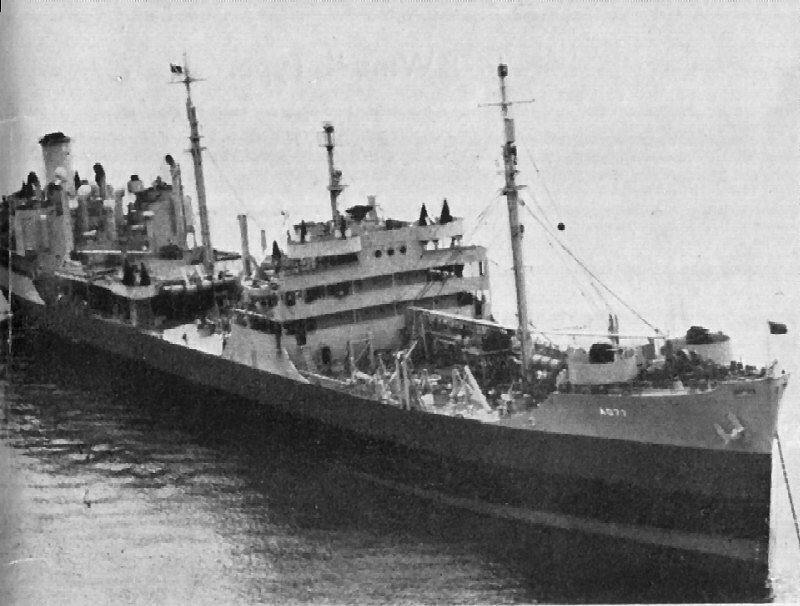 1170k USS Cossatot (AO-77) at anchor, date and location unknown. 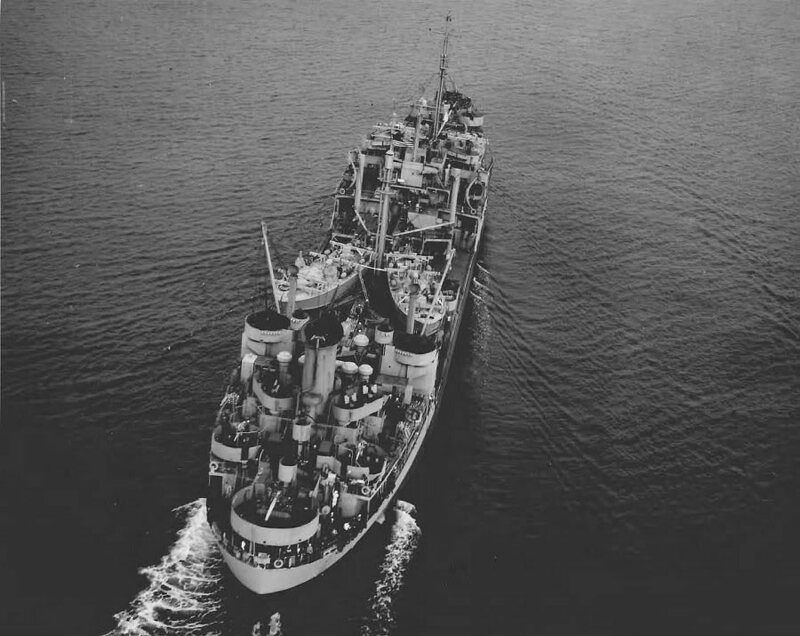 Anchored astern of Cossatot is USS Skagit (AKA-105). 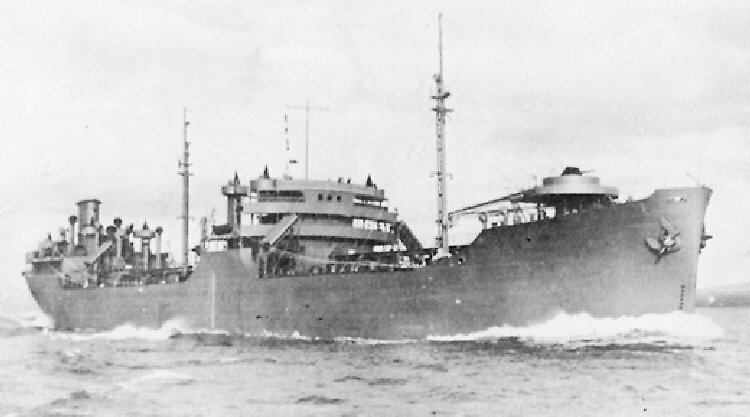 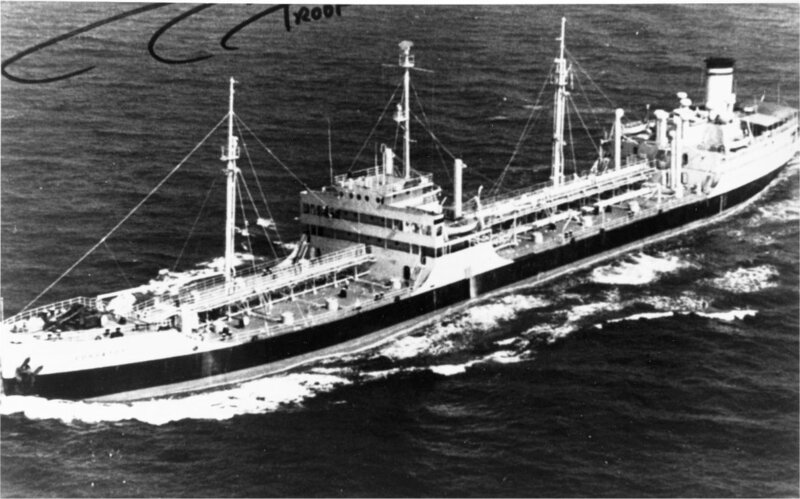 171k USNS Cossatot (T-AO-77) under way circa 1950s.